Because of the unconditional love that animals give, the death of an animal companion can be especially profound. Sometimes others don’t understand the extent of this loss. The gentle, grounded words in this CD are like a dear friend comforting you during your time of grief. It takes you on a healing journey with words of wisdom, comforting affirmations, an inspirational reading, a guided meditation, and soothing harp music. The accompanying 20 page guidebook provides insight, healing strategies and resources. 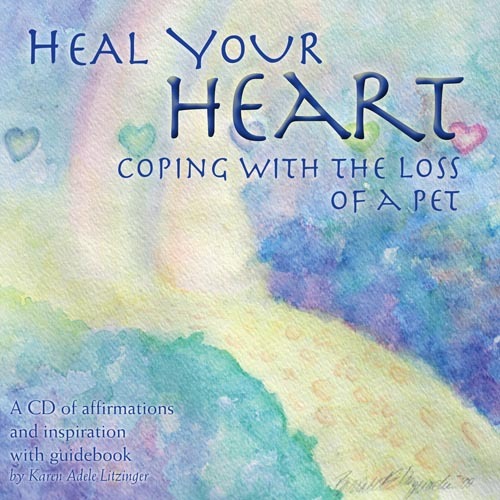 For reviews, exerpts and to purchase, please go to my website at www.HealFromPetLoss.com.